If you are driving your own car, and you are involved in an accident which was caused by your own negligence, then legal liability is fairly straightforward to determine. 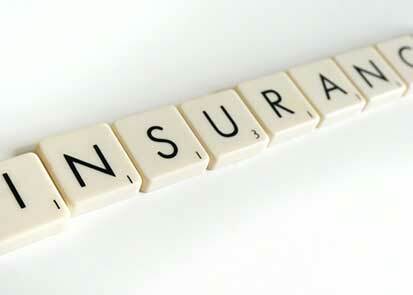 You are liable, and your insurance will cover the costs of the accident. Or, if the other driver was negligent, then they are liable, and their insurance will cover the cost of the accident. But real life isn’t so simple, and there are plenty of other scenarios where liability and insurance coverage are less straightforward. What do we do in such situations? This article will serve as an overview of several common types of complex liability scenarios, and what to do if you find yourself in such a scenario. What if I’m a passenger in another person’s car? This is one of the most common types of car accident scenarios, and the good news is that it is fairly straightforward to resolve, and usually results in a positive outcome for the passenger. Legally, passengers cannot be at fault for an accident, even if they were riding with an at-fault driver. This means that the passenger in an accident will, in most circumstances, be entitled to collect damages for any injuries they suffered. 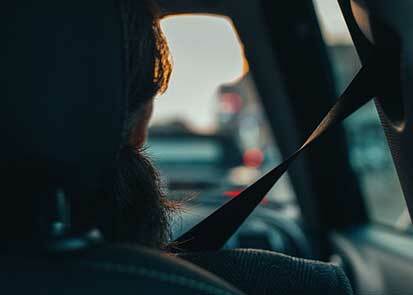 If you are riding with the at-fault driver, then you may file a third-party claim against the driver’s insurance, and be eligible to receive all the forms of damages, including medical bills, lost wages, and pain and suffering, which you would receive if you were a driver who was not at fault but who suffered similar injuries. There is one big exception to this: if you are related to the person who was driving the car, you will most likely not be allowed to file a claim against the driver’s insurance company. Most insurance companies consider relatives of the insured party to also be insured, and this precludes them from filing a claim with their own insurance. If the other driver was at fault for the accident, then you may file a third-party claim with the other driver’s insurance. If the two drivers shared the fault in the accident, or the insurance policy of one driver was not enough to cover your full damages, then you may file third party claims with the insurance policies of both drivers. However, you cannot collect a total amount from both insurance policies that is greater than the full amount of your damages. What if someone else is borrowing my car? It’s relatively common for friends to borrow each other’s cars, and it’s inevitable that accidents will sometimes occur. So, who’s at fault in this situation? The important thing to remember here is that car insurance follows the car, not the driver. This means that, if you give permission to someone else to use your car, and they get in an accident, your insurance is still liable. If the driver to whom you loaned the car is at fault, then you will have to file the claim and pay the deductible, and if your insurance rates increase as a result of the accident, then you will have to pay the difference as well. Remember: when you loan someone your car, you aren’t just lending the car. You are also entrusting the other driver with your insurance policy. That said, a car accident in a borrowed car differs from an ordinary car accident in a few important ways. For instance, if the car accident is severe, and the damage exceeds your limits, then the other driver’s insurance (if they have insurance) may kick in as secondary insurance, and cover the remaining damages. Of course, if the person to whom you loaned the car is not at fault, then the other driver’s insurance will be held responsible, just as in any other accident. What if I’m driving a rental car? It depends on whether or not your own car insurance policy includes rental cars. 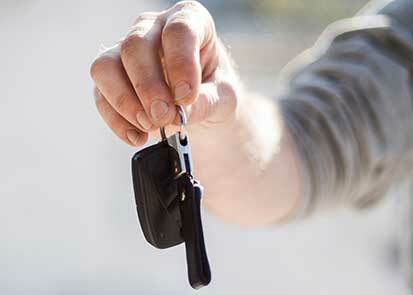 Before you rent a car, you should check your insurance policy very carefully to see whether rental cars are covered. If your regular insurance policy does not include rental car coverage, then you should be aware that some credit card companies will provide you with rental car coverage, so long as you use that particular credit card to pay for the rental car. Of course, you should read your credit card’s rental car coverage policy carefully as well, and find out how much their policy covers. If your personal insurance and credit card don’t cover rental car damages, or if they don’t cover enough of the damages, then you may buy a collision damage waiver or supplemental insurance from the rental car company. This comes at an extra charge, of course, but it is well worth it to give you the extra peace of mind while driving a rental car. And, in rare cases, the rental car company may actually be partly or completely liable for your accident, if you can show that they did not keep the car in good working condition. If you have none of these types of rental car insurance, then liability for the accident is determined based on fault. If you are at fault for the accident, then you will have to pay the costs of the accident out of pocket. These can be very expensive, so make sure that you have some form of insurance before getting behind the wheel of your rental car. 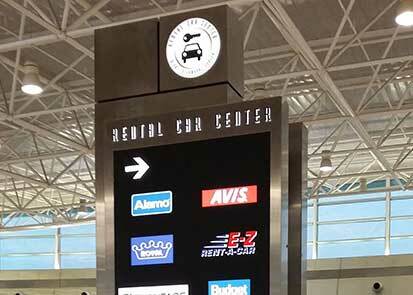 Check out our Hertz rental vehicle accident guide for specific information about handling an accident involving a Hertz rental car, or our Guide to Handling Enterprise Car Rental Accidents for Enterprise specific information. 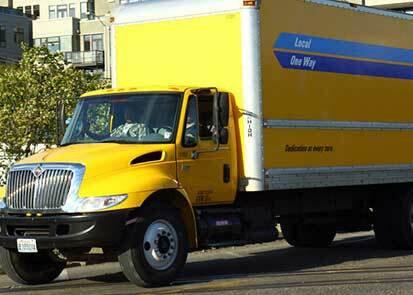 What if I’m driving a rental truck? If you’re driving a U-Haul, Penske, or other rental truck, then you will most likely need to buy supplemental insurance. Most auto insurance policies do not cover rental vehicles above a certain size, and the same goes for most credit card rental car insurance policies. Of course, you should call your insurance provider and credit card company and double-check, but generally, the chances of being automatically covered with rental trucks aren’t as good as they are with rental cars. Fortunately, most major truck rental companies offer their customers supplemental insurance coverage. This might seem like an unnecessary expense, especially when renting a truck is already so expensive, but do it! Because most drivers are not accustomed to driving trucks, rental truck accidents are fairly common, and they can put you in the red for thousands of dollars. Extra insurance is a small enough price to pay for protection against this. What if a rideshare vehicle is involved? If you drive for Uber, Lyft, or another rideshare company, then you may find yourself in a difficult situation insurance-wise. Uber and Lyft have their own insurance policies, but these policies usually don’t cover you unless you have a passenger in the car. If you have the app on but aren’t actually giving a ride to a passenger, then Uber and Lyft insurance will not cover you. However, your own personal insurance policy might not cover you during this period either, which is why many rideshare drivers choose to buy special rideshare insurance that covers than during the entire time they have the Uber or Lyft app activated. If you’re a third party in a collision with a rideshare vehicle, however, then you will find yourself in murkier legal territory. Companies like Uber and Lyft often try to get out of taking responsibility for their drivers’ actions by claiming that their drivers are “contractors” rather than “employees,” so recovering damages for a collision with a rideshare driver can be difficult. To learn more about Uber accidents, visit our Ultimate Guide to Uber Accidents. 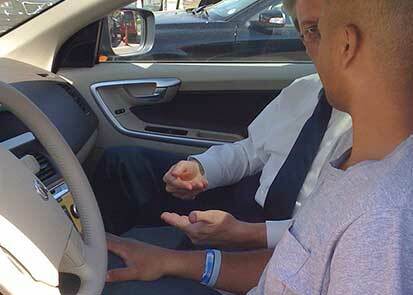 What if a self-driving car is involved? 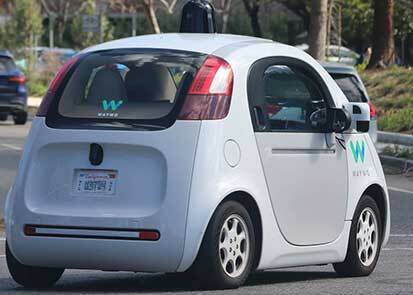 Autonomous car liability, like rideshare liability, is a new and often confusing realm of accident law. Currently, the laws surrounding autonomous car liability are in their infancy, although it is likely that they will be fleshed out much more thoroughly over the next couple of decades, as self-driving cars are projected to become more common on our roads. Autonomous car liability is made even more complex by the fact that self-driving cars themselves exist along a continuum. There aren’t just self-driving cars and ordinary non-autonomous cars, but instead several levels of intermediate between these two extremes, with various degrees of automation and self-driving technology. At lower levels of automation, the driver is still usually held responsible for the accident, as they would be in traditional car accident law. However, the more the car becomes automated, the more likely it becomes that the makers of the vehicle can be held partly or wholly liable for the accident. As with manufacture or design defects (see below), there are several parties along the chain of production which can be sued, including the manufacturers of the vehicle, the company which created the finished vehicle, or the maker of the autonomous technology. Many of these disputes will be settled according to the rules of product liability law rather than traditional car accident law. Because autonomous car liability has not been standardized at the federal level, the current set of regulations also vary significantly from state to state, so you may get very different results depending on where the accident happened. What if I or the other driver in the collision didn’t have insurance? Buying car insurance isn’t just the law (in every state except New Hampshire), it’s also one of the best things you can do to protect yourself on the road. If you get in a car accident without insurance, and you are at fault, then you can be sued for the full damages to the other party, including damage to their car, medical bills, and noneconomic damages such as pain and suffering. Damages can range into the tens or hundreds of thousands of dollars, and you will be forced to pay out of pocket. This is the sort of lawsuit that can ruin your life. A few states have “no fault” car insurance systems. In these states, it will be harder for the other party to sue, but not impossible, and the lawsuits in these states can still be devastating. In addition, most states will impose a stiff criminal penalty once they find out that you were driving without insurance. This penalty can include fines (which can also range into the tens or hundreds of thousands of dollars), and your vehicle may be impounded. 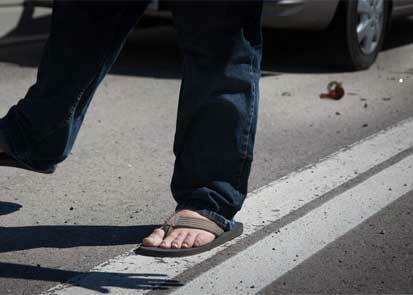 What if you were driving without insurance and the accident was not your fault? In many states (including California), you are limited in the types of damages you can collect. Hopefully we’ve convinced you to drive with insurance if you weren’t doing so already. But what happens if you get in a collision with another driver who was uninsured? Unfortunately, this happens more often than it should. It is estimated that around 1 in 7 drivers on American roads lack proper insurance. The best thing you can do to protect yourself in an accident with an uninsured driver is to buy uninsured and underinsured motorist coverage. With UM coverage, your insurance company will cover you in the event that you get in a car accident with an uninsured or underinsured driver. UM insurance will also cover you if you are in a hit-and-run accident with a driver who flees the scene and cannot be found. UM coverage is mandatory in some states, but even in states where it is optional, it is highly advisable to buy such coverage. There are far too many uninsured drivers on the road, not to mention drivers who are likely to flee the scene of an accident, and a collision with either can be very costly if you do not have the proper coverage. In addition to UM coverage, collision coverage will cover damages to your car in the event of an accident, regardless of fault, including if the accident involved an uninsured driver. What if I get in an accident while test driving a vehicle? This is a uniquely awkward situation, and we hope you never have to face it. But unfortunately, this sort of thing does happen sometimes, especially when you’re test driving a new and unfamiliar model of car. Car dealerships are required by law to insure their vehicles, and, as we mentioned above, insurance follows the car and not the driver. This means that in many cases, the dealer’s insurance will cover the costs of the accident. However, if the accident was your fault, then the dealer may transfer the costs onto you or your insurance, especially if you signed a waiver before the test drive agreeing to take responsibility for any accidents. Of course, some dealerships may not insure their vehicles. In this circumstance, your insurance will likely be forced to cover the costs, which is why you should always affirm that a dealer has car insurance before test driving any of their cars. Even so, getting in an accident while test driving a car is terribly unpleasant. All we can advise is that you drive very carefully while on any test drive, familiarize yourself with the car’s controls before starting to drive, and listen to the salesperson’s instructions. Don’t accelerate too quickly, and brake early, because the power of the accelerator and brakes varies between vehicles, and also be mindful of the car’s turning radius, which might be different from what you’re used to. What if the accident was caused by dangerous road conditions? In some cases, car accidents occur, not because of the negligence of drivers on the road, but because of poor road conditions. 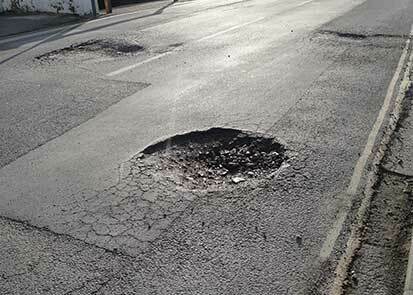 There are a wide variety of conditions which may cause or contribute to a crash, including potholes, wet or icy roads, missing guardrails, poor road markings, signs, or lighting, objects which obstruct drivers’ vision, or roads which have been poorly designed by the original engineer. If dangerous road conditions have caused an accident, then you can file a lawsuit against the party which caused the dangerous road condition. This is most often the government agency which was responsible for maintaining the road. However, such lawsuits can be difficult for a few reasons. For one, different aspects of the same road often fall under the purview of different government agencies, and it can be difficult to figure out who to sue in these cases. Furthermore, many government agencies are protected by the legal doctrine known as “sovereign immunity,” which means that they cannot be sued for civil damages. There are exceptions to the doctrine of sovereign immunity, and so lawsuits over dangerous road conditions are not impossible, but it is still much harder to sue a government entity than a private one, and the statute of limitations for government entities is usually shorter as well. In addition, you will need to prove that the accident was directly caused by the dangerous road condition, and also that the government entity had sufficient time to discover and fix the problem, but failed to do so. What if the accident was caused by a defective car? A defect in the car can stem from either defective design (i.e. the original engineers who drew up the plans for the vehicle did so poorly) or defective manufacturing (i.e. the vehicle was designed okay but someone at the plant did not put the car together properly when building it). 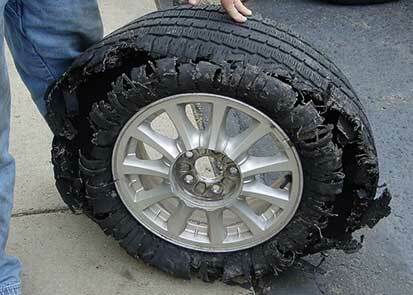 A common culprit and cause of many catastrophic accidents are defective tires. Defective tires result in blowouts, tread separation and other failures that cause the driver to lose control of his/her vehicle. This is an important distinction, as it determines who can be sued for the defect. There are usually a large number of parties along the chain of production, and any or all of these can potentially be sued for selling a defective car. Like many cases involving self-driving cars (see above), lawsuits against manufacturers or designers of defective cars are based in product liability law rather than traditional car accident law. What if I was hit by a DUI driver? Drunk driving accidents can be horrific. The silver lining of such accidents (if there can be said to be a silver lining) is that the law falls heavily on the side of DUI victims; if you were hit by a drunk or drugged driver, you will almost certainly be eligible to recover significant damages – so long as there is evidence that the other driver was drunk or otherwise under the influence, and that their inebriation caused the accident. Although some may find it surprising, most states also have laws in place which allow you to sue not just the drunk driver, but also the vendor who sold them the alcohol. These laws, known as “dram shop laws” (after an old word used in England for alcohol shops), allow bartenders, liquor store owners, and other types of alcohol vendors to be held liable for damages in civil court in cases where they sold alcohol to someone who was clearly intoxicated, and that person then caused a drunk driving accident. Most states have some form of dram shop law, but they vary significantly from state to state. Some states allow dram shop lawsuits if the patron was visibly intoxicated, while others are stricter and demand that the patient clearly be a danger to themselves or to others at the time when the alcohol was sold. If you want to file a civil claim under a dram shop law, you should be familiar with the particular statutes that apply to your state. Car accidents can happen at any time and can involve a great many unusual circumstances. We have covered some of those circumstances here, but there are many more which we have not addressed, and this article is only a broad overview. In actuality, the precise nature of your accident, and the damages you are eligible to receive will vary significantly based on a variety of factors. But no matter what happens, the most important thing you can do after being involved in an accident is to seek proper legal representation.